Manipulatives are physical things like blocks and shapes that are used to teach children a new concept. They have been very popular in teaching math for many years. Studies have shown that using manipulatives helps kids make real world connections with what they are learning. They also help children think more deeply and talk about what they are learning. If manipulatives are so effective, why should parents and teachers limit their use to math education? They can (and should!) be used to enhance learning in any subject matter. There are several reasons that manipulatives really help kids learn. Lectures, book work, and worksheets are normal parts of any lesson plan. But all too frequently, they can be very boring. 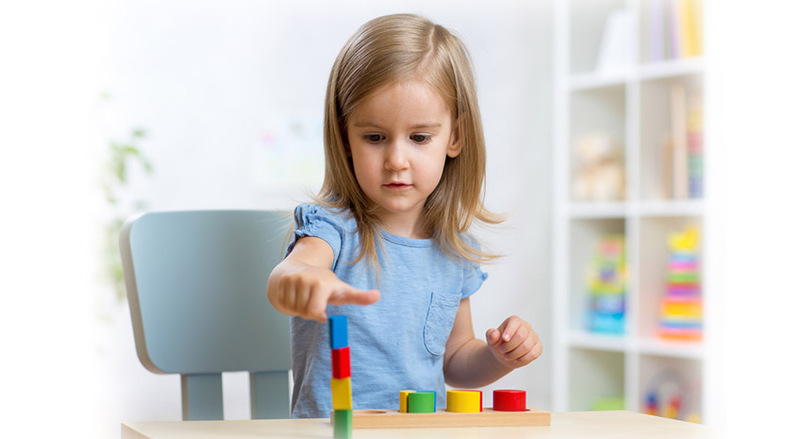 Children love manipulatives because it makes learning feel like play. When they’re having fun learning and exploring, they are more likely to pay attention for longer periods of time and retain what they learn. Abstract thinking is being able think about something you can’t actually see or touch, like time, algebra, or empathy. This is one of the last skills to develop in children. Most kids cannot think abstractly until they are 5 or 6 years old. Then the skill grows slowly until they are a teenager. For elementary students, abstract thinking can be hard. This is why manipulatives are such a good idea for young students. They make an abstract concept like solving a math problem visible and concrete. Kids can move the pieces around, troubleshooting and working towards a solution. Instead of just being told that 1+1=2, they can see that putting one piece together with another leaves you with two pieces. WordParts uses manipulatives to teach easy grammar to children in a way that is fun and exciting. By using 3-D shapes to represent the parts of speech, it transforms the sentence’s structure and easy grammar from an abstract idea into something they can see, touch, and move. These connecting blocks really bring grammar to life in a way that has never been seen before.